At The White Rock Hotel, enjoy a satisfying meal at the restaurant. Breakfast is available for a fee. When you a stay at The Old Town Guest House in Hastings, you'll be near the beach, just steps from Old Town Hall Museum and Smugglers Adventure. 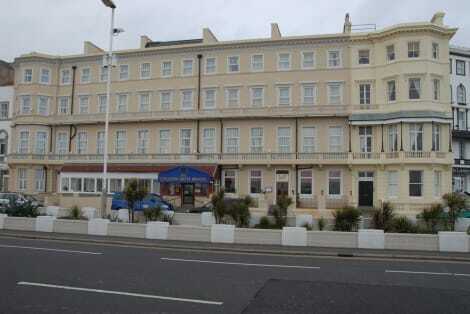 This 4-star guesthouse is 12.9 mi (20.8 km) from Camber Sands and 17 mi (27.4 km) from Eastbourne Beach. Few people could disassociate Hastings with the infamous Battle of Hastings of 1066, which, according to many historians, was the last successful invasion of English soil. There is no question that this charismatic seaside resort, one of the most handsome on the South Coast, will always have a very special place in English history. It was, after all, the first settlement to be claimed by the notorious Norman leader William the Conqueror, who was responsible for the creation of many of Britain's most treasured medieval landmarks. The revolutionary battle, which occurred on October 14th, probably took place several miles from the town, in a place called Battle. It proved to be a decisive victory for William's army, who managed to defeat King Harold's troops thanks to the Normans' markedly superior military techniques. Certainly, no visit to Hastings would be complete without visiting the town's fascinating castle. Although now in ruins, this landmark is the oldest Norman castle in the country, and commands fine views over the town and the coastline. However, the building was besieged by the French during the Hundred Years' War and the Second World War, although it has since been preserved and is now one of the most popular visitor attractions in East Sussex. This popular venue organises several temporary exhibitions each year and showcases the works of one of Britain's most distinguished late-Georgian architects, James Burton. He founded St Leonards-on-Sea, adjacent to Hastings, and designed many buildings in London's historic writers' district of Bloomsbury. Overlooking dramatic sandstone cliffs, Hastings Country Park was founded in the 1970s and is part of the magnificent High Weald Area of Outstanding Natural Beauty. The park, which is still open every day, has been an area of human habitation since the prehistoric era and is maintained by the Friends of Hastings Country Park association. Based in the Victorian Gothic-Revival style Fishermen's Church, this museum opened to the public in 1956 and examines the area's important fishing and maritime heritage. The building, which is now Grade II-Listed, was due to be demolished in the 1950's but was protected thanks to a campaign led by the Old Hastings Preservation Society. If you're looking for some delicious fresh pizzas, head to Pizzarelli, or enjoy delightful Turkish flavours at Nazar. For mouthwatering Thai food, dine at the Boulevard Bookshop and Thai Café, or head to the Two Bulls Steakhouse for some fabulous steaks. For elegant surroundings and superb hospitality, stay at the Bannatyne Spa Hotel or the Zanzibar Hotel Hastings, two of the most luxurious Hastings hotels. For excellent value for money, book a stay at the stylish Premier Inn Hastings, or try the affordable Best Western Royal Victoria Hotel with its charming, traditional interior.